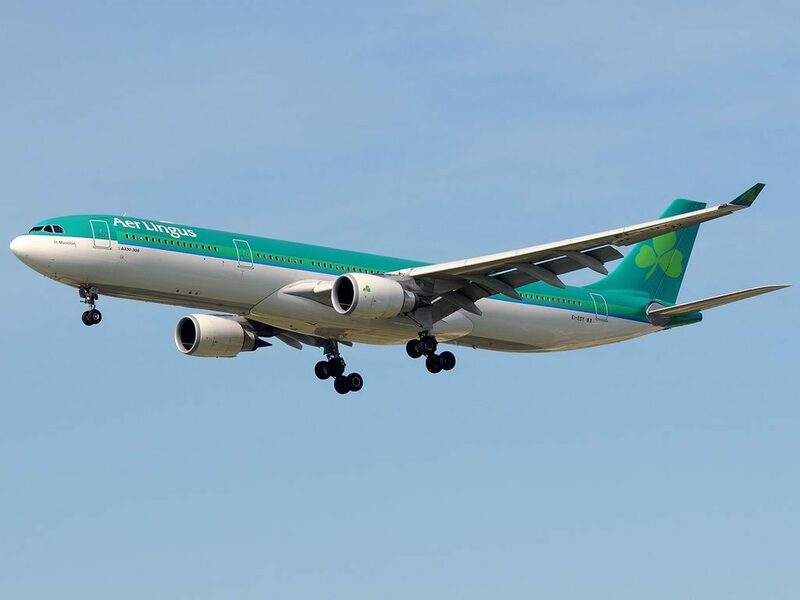 Aer Lingus Fleet Airbus A330-300 Details and Pictures. 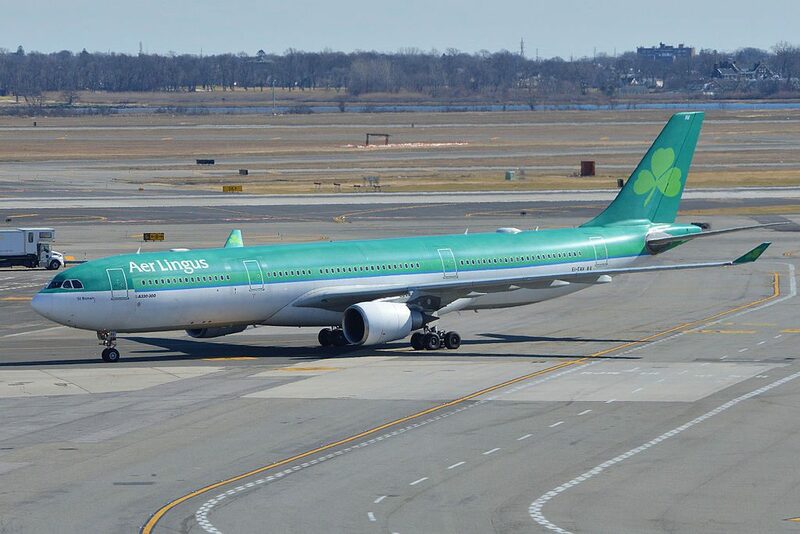 Aer Lingus operated 8 wide-body aircraft Airbus A330-300. 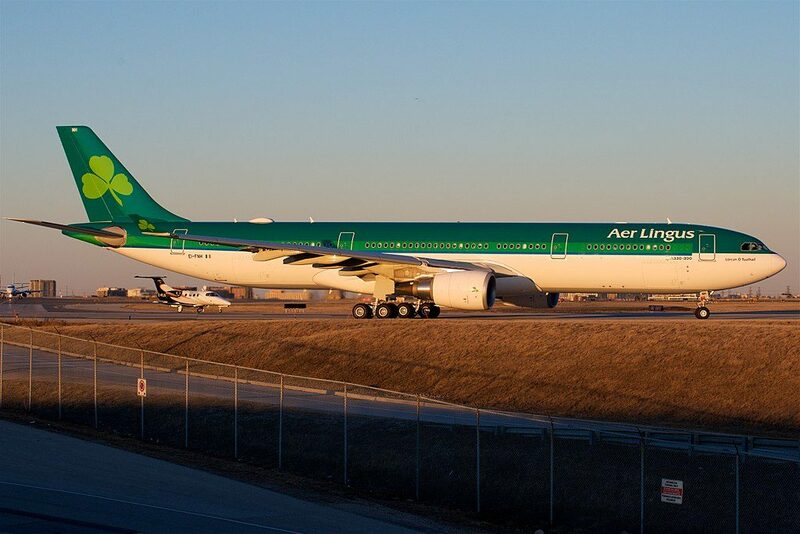 This aircraft larger than A330-200 but with shorter range. 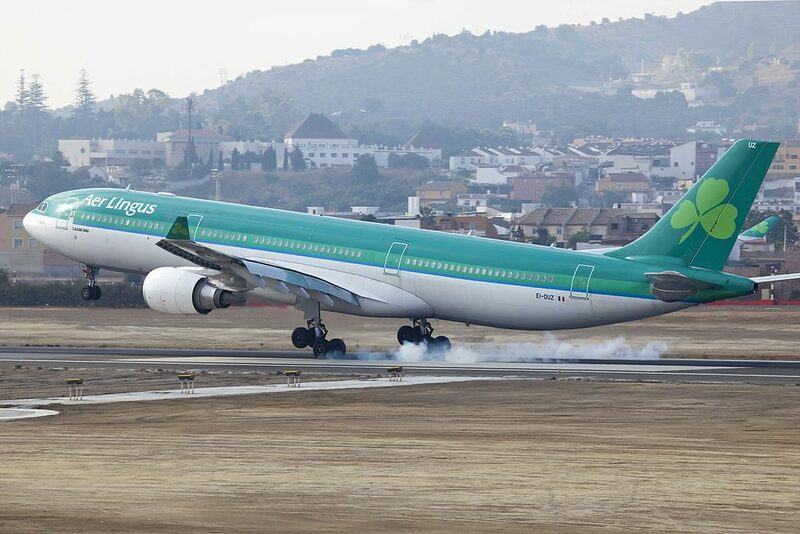 The Airbus A330-300 is the largest aircraft in the Aer Lingus fleet. 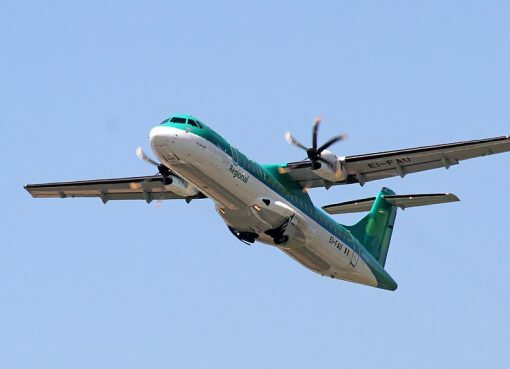 It flies predominantly between Dublin and North American East Coast destinations. 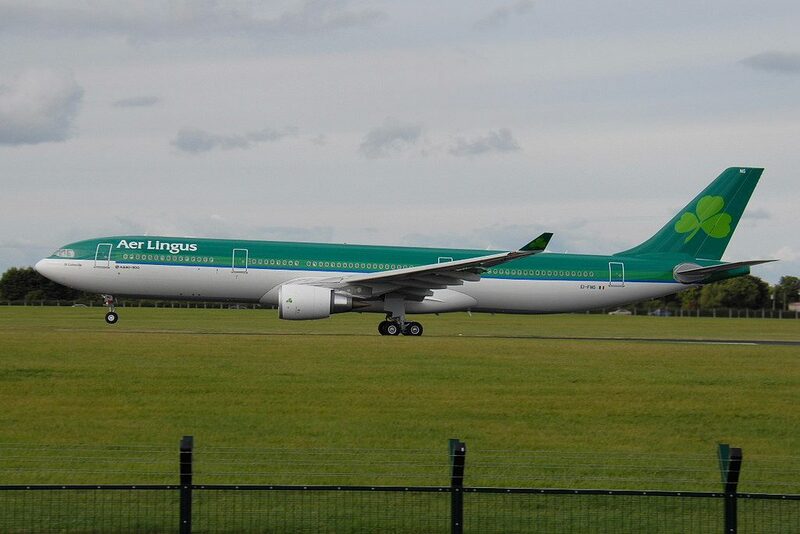 The Aer Lingus Airbus A330-300 is primarily operated on medium to long-haul routes. 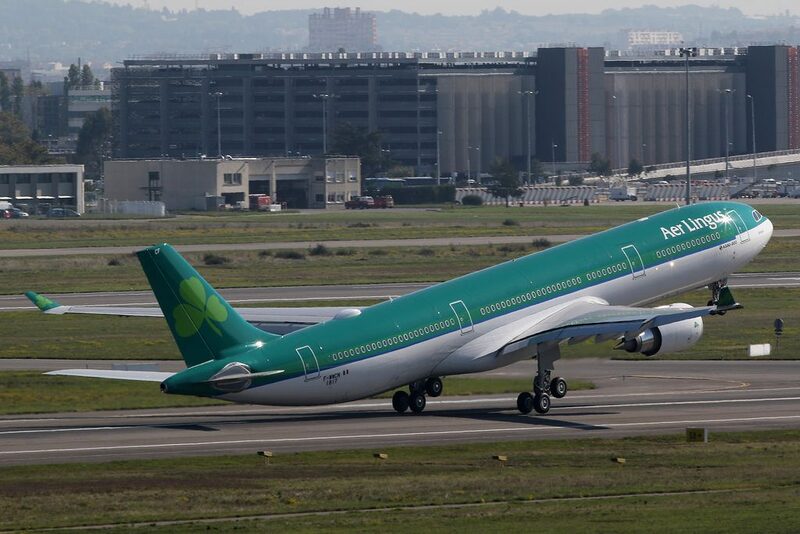 This Airbus A330-300 airplane may transport 317 passengers in two classes: business and economy. There are 30 flat bed seats in the business class. There are totally 7 rows of seats here. There are only three seats in the first row. The seats 1A, 1DG are located close to the lavatory and galley the noise from which may be bothersome. Also these seats have no floor storage during take-off and landing. Proximity of the lavatories and galley is the main disadvantage of the seats of the 7th row. 287 passengers may accommodate Economy class seats. 22 rows of economy class seats are located in the first section. 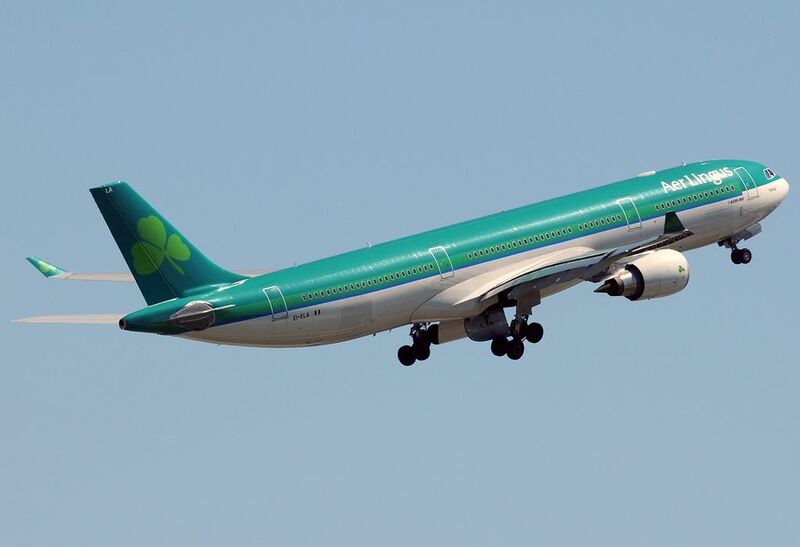 Thanks to the exit row located in front passengers of the seats 8AC and 8HK will take advantage of extra legroom. 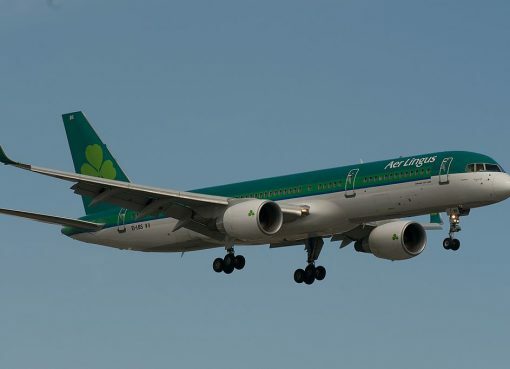 However, these seats are narrower than standard, have no floor storage during take-off and landing and are located close to the galleys and lavatory. Passengers traveling with babies are often seated on the seats 9DEFG as they have bassinet locations. Because of the bulkhead position these seats may have limited legroom. Among other disadvantages: proximity of the galley, reduced width of the seats and lack of floor storage during take-off and landing. The seats 13A, 13K and 26A, 26K are missing windows. Close location of the lavatories will cause discomfort to passengers of the seats 26AC, 26HK, D and G seats of the rows 27-28 and of the seats of the 29th row. Behind the exit row 17 rows of second sections of economy class seats are located. Passengers of the seats 30AC and 30HK will feel comfortable thanks to extra space for their legs. But other passengers tend to gather in this area while waiting to use lavatories and causing inconvenience to passengers of these seats. As the tray tables are in the armrests making them immovable the width of these seats is slightly reduced. Lack of floor storage during take-off and landing is another disadvantage of these seats. The other seats of the 30th row, i.e. the seats 30DEFG have the same disadvantages. Also these seats have limited legroom because of the position of the bulkhead. As these seats have bassinet locations, passengers with babies are often seated here. Other passengers and crew members passing by tend to bump into the seats 41D and 41G due to transition of seats from 4 to 3. For the same reason the seats 42DEG have limited legroom. The noise that is coming from the galleys and lavatories will cause discomfort to passengers of the seats 45AC, 45D, 45G, 45HK and 46DEG. Audio. Each seat has a personal in-seat TV with AVOD (Audio and Video on Demand). Passengers seated in Business Class may create their own personal playlists, using the thousands of MP3s available. Video. Each seat has a personal in-seat TV with AVOD (Audio and Video on Demand) which allows passengers to watch a variety of movies, television programs and music videos. 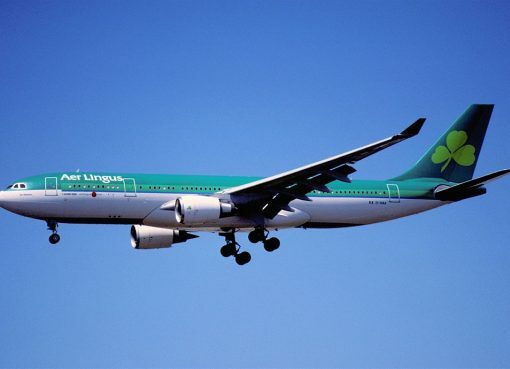 Headphones are provided complimentary on all long-haul flights. AC Power. 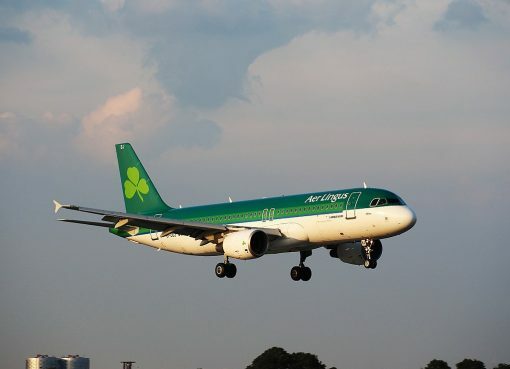 This aircraft is equipped with Ireland/UK compatible 240V AC power outlets at every Business seat and between every two Economy seats. 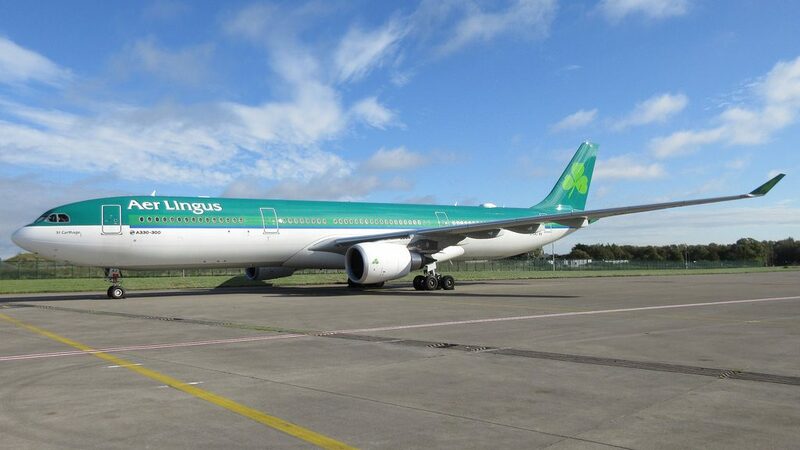 Thanks to visiting AirlinesFleet.com and read article : Aer Lingus Fleet Airbus A330-300 Details and Pictures.